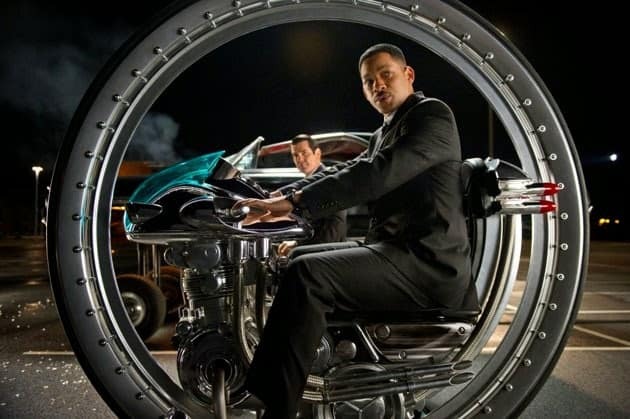 Have you seen Men In Black 3 ,a hollywood movie ?.In that movie they used a Monowheel vehicles which has only One Wheel and the driver was sat in the wheel. monowheel — it’s what’s responsible for moving the vehicle forward. Monowheels are now a days used for fun purpose due to some limitation that explained later. Monowheel either engine operated or Pedal Operated. Pedal Operated mechanism may consist of a sprocket and Chain mechanism which would further drive to Monowheel. Other possibility is using IC engine either two stroke or four stroke,however,Capacity of engine should be less so that it wont much affect Stability Of Monowheels. A monowheel works like a giant ball bearing. The driver and the engine anchor the inner wheel, while the engine propels the outer loop. It stays upright through the same principles as a gyroscope . As long as an external force generates motion — in this case, an engine (although some monowheels are pedal powered) — the vehicle will stay in motion. A monowheel’s lack of other wheels and somewhat awkward stance makes handling difficult. A rider will typically want to keep his or her feet close to the ground so the monowheel doesn’t tip over completely. In addition, if it has a powerful engine, it’s unlikely that all of the power can be used in this kind of setup. Its lack of stability when forward motion is taken away makes braking especially difficult, too. In most designs, if the driver accelerates or brakes too hard, it is possible that the force applied overcomes the force of gravity keeping the rider at the bottom of the wheel, sending the rider spinning around the inside of the wheel. This is known as gerbiling because it has some similarity to the situation of a gerbil running too quickly inside of a hamster wheel. Visibility issues. In driver-inside designs,the rider is always facing the inner rim of the wheel, which can obstruct the view of oncoming hazards. There are various possibility modification in Monowheel Mechanism, So many papers are available on Monowheels. I have already explained details about Monowheels .By considering the details and doing some literature survey ,It is possible to build Monowheel.